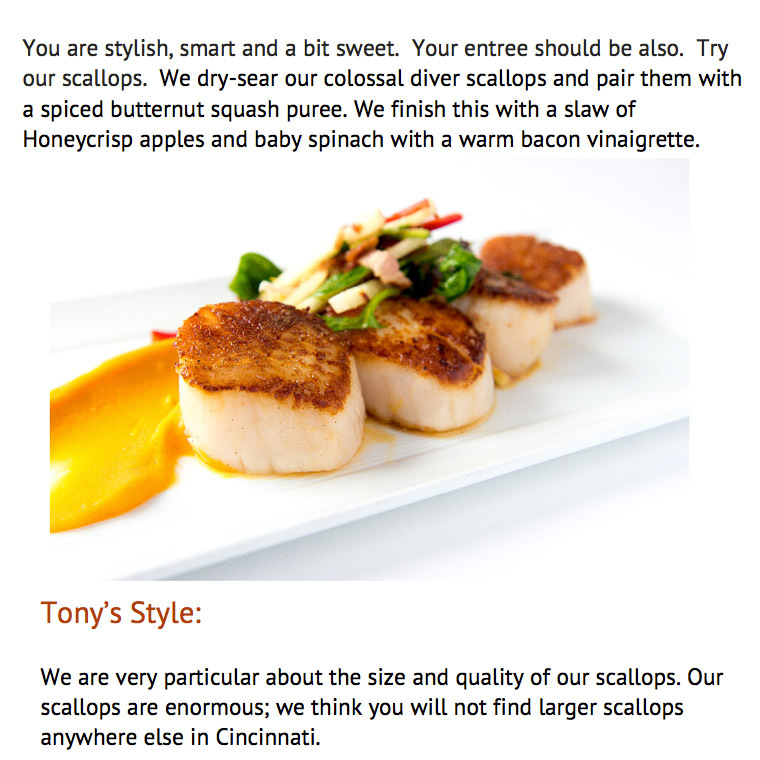 Take our test to match your personality to the perfect food at Tony’s. 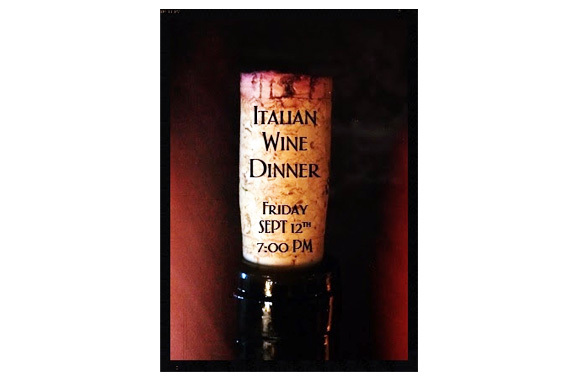 Did you know that we will open our doors if you want to have a private dining event during the day? 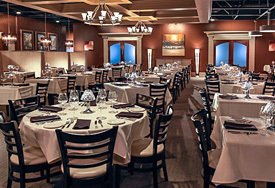 Corporate meetings, charity luncheons and holiday parties are just a few reasons to join us during the day. 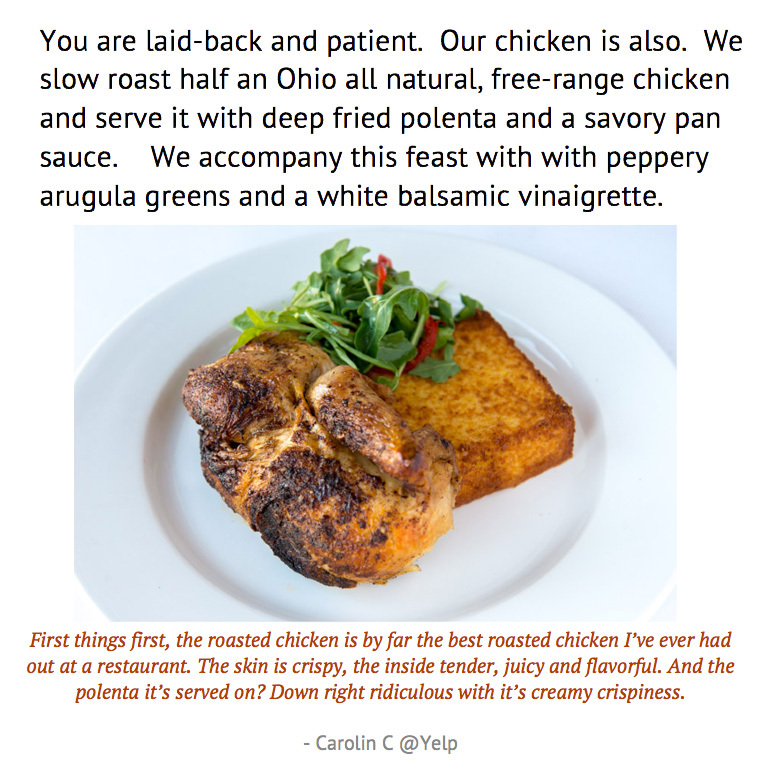 Call Emily Miller at 513 677-1993 for inspiration and details. 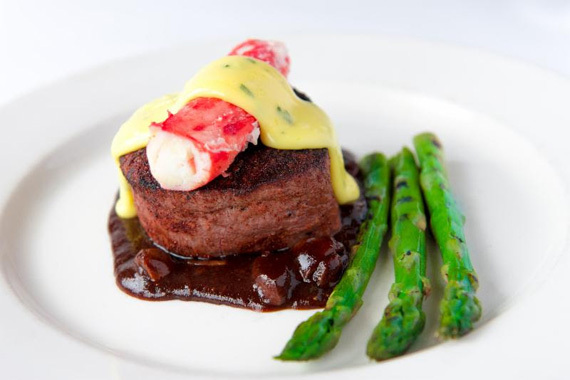 Relax and enjoy Tony’s in the daytime! Let’s face it–Cincinnati weather is like a moody teenager. Heated and angry one day, calm, cool and sweet the next. 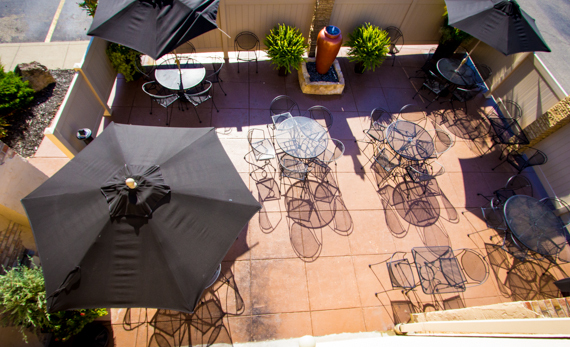 On days when the weather is not tantruming, join us on our patio. Try a summer cocktail or your favorite wine to unwind and relax. 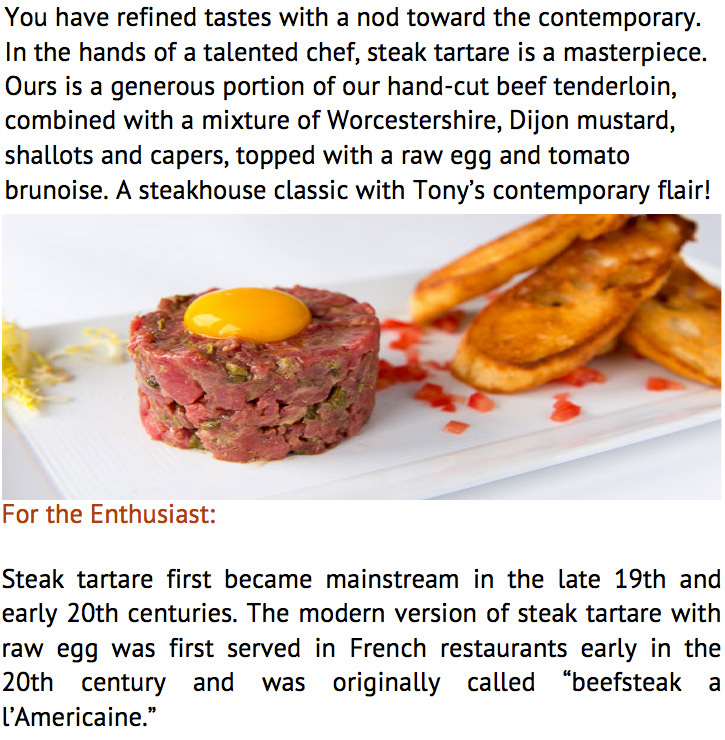 You can select from our scrumptious bar menu or opt for any of our dining room entrees. Take advantage of the fleeting good-mood weather and relax. …bon voyage…happy birthday…welcome to the neighborhood…congratulations…happy holidays …you’ve been promoted…happy anniversary…get well soon…you graduated…you’re engaged. 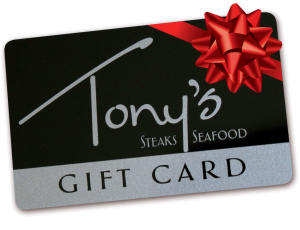 Whether you are the top dog or trying to get out of the doghouse, there are so many reasons why a gift card from Tony’s makes the perfect gift. Stop in to buy or shop anytime on our website. 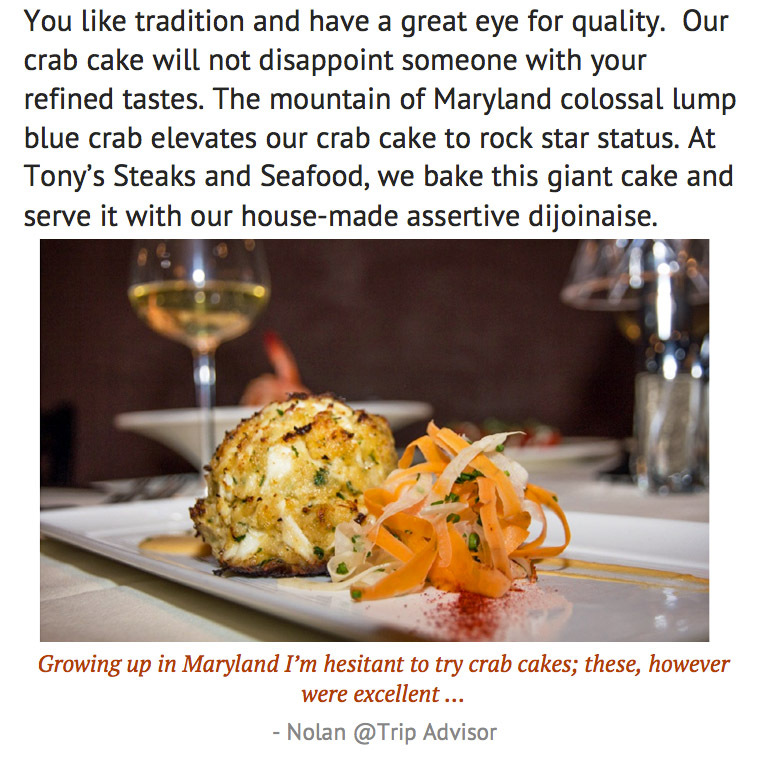 We visit Tony’s often, simply because they have the best service and food around. Saturday night…and a packed house. Service was as if we were the only party in the house.